Inside the chapel, I stepped toward your coffin to gaze at you lying there, still and silent. I leaned over to kiss your forehead, now cold. It was February 1997, and you, age 70, were dead. In the car on the drive over, I had expected to stay calm. But at the sight of the funeral home, I gasped in disbelief and sorrow. Later, in the synagogue, I approached the podium to deliver the eulogy, only to have my knees buckle. I told how you always acted so gently toward me, never expressing anger or raising your voice, and how you only once spanked me, but reluctantly, without force. Tears streamed down my face. Sobs caught in my throat. I was a mess. As we headed to the cemetery, I remembered how you, in reality, had failed me as a father. You were hardly ever around. You left the house for work before anyone else woke up and usually stayed out until after we got to bed. You were always on the go, no sooner here than gone again, less here than gone. Even on weekends, you came home mainly to eat and sleep. You remained remote from us, all but incommunicado. Often, you went down to the recliner in our den to nap. I knew why. You sought asylum from the pressures of being a husband and father and brother and son. Sleep turned out to be the only neutral country that would take you in, the only territory you felt you could call all your own. Yes, you brought me to work with you and took me fishing and once played catch with me on our front lawn. But otherwise you exempted yourself from asking about my friends and offering to help with my homework or otherwise participating in my life. I hardly knew you, nor you me. I often felt like an afterthought. You lived among us almost as a stranger, your presence defined largely by your absence. Back in the 1950s and 1960s, that's how most of our fathers acted -- all business. It was how society expected breadwinning fathers to act. We reached the cemetery and chanted Kaddish, a Hebrew prayer sad enough, I swear, to induce mourning even if no one has died. And then we laid you in the freshly dug winter soil. It seemed too late for either of us to do anything about anything. The opportunity to reconcile appeared gone for good. We'd both blown it big-time. Except that belief turned out to be mistaken. In the 18 years since you died, I've kept searching for you. I've asked family and friends about you, about why you lived as you lived. And I've learned a lot I never suspected. Your sisters both told me how hard you tried to please your own father, but never successfully. A friend told me how you once stepped in to stop a bully in your neighborhood from picking on other kids. A former colleague told me how you served as an advocate for the deaf community for decades without ever expecting a dime in return. I came to feel closer to you in death than I ever had in life. Sometimes nothing brings people to life more than dying. Now I understand this: You failed me, but I -- if to a lesser extent -- failed you, too. I never acknowledged the hardships you faced being born deaf. I never paid much attention to anything you tried to teach me about the value of education, of hard work, of making money. I could hear perfectly, but tuned you out. I must have disappointed you as much as you had me. I performed poorly in school. I took a while to get going in a career. I could have handled money better. I acted as if I needed no one, least of all my father, to tell me how to do anything. Our fathers often fail us, just as I no doubt often fail my own two children. 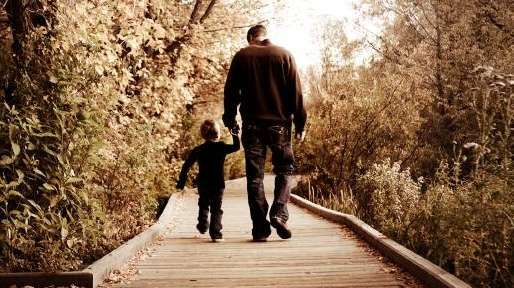 Wanting to get fatherhood exactly right renders our failures inevitable. But all of us, or at least some of us, could be better sons and daughters, too. I'm haunted by how much we left undone. But you and I will never truly be done. I'll always see your face and hear your voice in my dreams. Grudges nursed too long turn toxic. So of course I've long since forgiven you. But only recently have I begun to forgive myself, too. Bob Brody, an executive and essayist in Forest Hills, is at work on a memoir about his deaf parents.